Adding to a difficult month for commercial airlines that has already seen a man brutally dragged from a United plane, and an American flight attendant wrenching a stroller away from a crying mother before nearly coming to blows with another passenger, Delta passengers headed from Tampa to Los Angeles were recently subjected to Kenny G playing his saxophone. In video obtained by TMZ, we see a scene that has become all too common in recent weeks. Innocent customers—at the mercy of a dehumanizing system that treats them as so much cargo—just trying to get home to their families without any conflict or smooth jazz. Suddenly, there is an ominous announcement over the P.A. 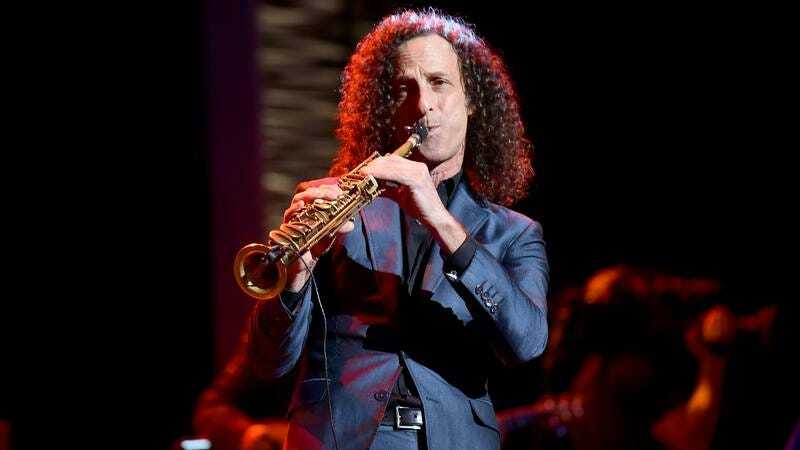 system: the crew is raising money for the charity Relay For Life, and if they hit the $2,000 mark, they will be forced to send Kenny G through the aisles to play his soprano sax for them. The passengers sit silent, helplessly cowed, while Kenny G takes over the mic, sounding almost apologetic. His hand has been forced by the Delta agents who asked him to do it. He has to obey their regulations; it’s right there in the Contract of Carriage. What else can he do? “This is for a good cause,” Kenny G says defensively, insisting that it’s for everyone’s benefit. “I have to brush my teeth first before I play my saxophone,” he adds, giving everyone a five-minute warning. Perhaps some part of Kenny G expects these people to rally—for some hero to step forward and say, enough is enough, there are more of us than there are of them, and we did not surrender our earthbound freedoms to be shackled here in the sky. We are human beings. We do not deserve this. The first peals of saxophone ring through the cabin, each tinny, fluttering note a heartbeat squeezed and silenced. We can only watch. We can only ask ourselves, what will it take for us to finally stand up?